Boil water, remove from heat. Add drink mix, sugar and coffee. Stir until dissolved. Pour in punch bowl 30 minutes before serving. Add ice cream in spoonfuls; stir until partially melted. 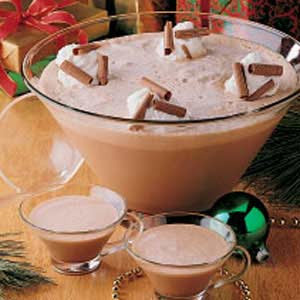 Garnish glasses with whipped cream and chocolate curls.